Keeping your pond fishes' food fresh is an important part of maintaining their overall health. Fresh food is more easily digestible, allowing your aquatic pets to get the maximum amount of nutrients out of every bite. Our durable, airtight food containers keep the freshness of your pond fish food locked in, while keeping pests, ants and other hungry critters out. Our pond food containers are stackable for easy, out-of-the-way storage. And don't forget to pick up a reliable food scoop to easily pull out all the food your pets need! Pet Mountain's Pond Food Storage store features top quality products from the most trusted names in pet food storage, including Vittles Vault and Van Ness. 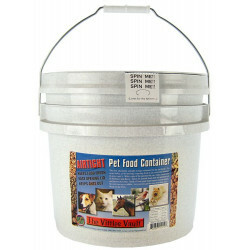 The Vittles Vault Airtight Stackable Food Container is the first complete storage system for dry pet foods. No more bulky, awkward bags exposing food to air, moisture, and unwanted pests. 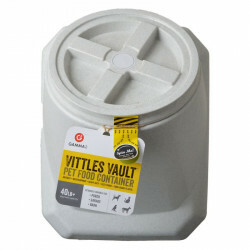 With a spin of the lid, the Vittles Vault locks in freshness and flavor and keeps the pests out. Storing foods in their original bags leads to stale food that loses its crunch. The Vittle Vault's patented, threaded, double gasket lid provides leak proof and airtight protection to keep food fresh and safe from pests. 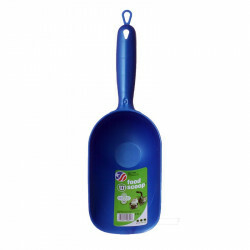 The Van Ness Food Scoop makes it easy to dose out graduated measurements, has a comfortable, easy-grip handle and is made of high impact plastic for lasting durability. Scooping has never been so simple! 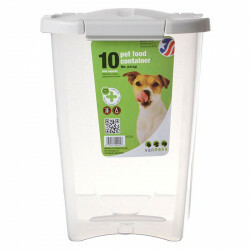 The Van Ness Pet Food Container stores all of your pet's food to keep it staying fresh and lasting longer. Includes a locking latch and air-tight seal to keep your pet's food insect and moisture free.